There has been considerable research interest in the effects of exercise upon depression outcomes. Recently, health agencies in the United Kingdom (UK) and beyond have made several guidance statements on this issue. Therefore, this review seeks to provide a synthesis of evidence regarding the effectiveness of exercise in the management of depression (including postnatal depression) in adults. Studies were identified by searching PubMed, Medline, Cochrane Library (CENTRAL) and PsychINFO using relevant search terms. 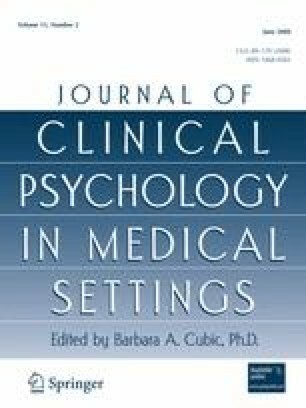 The article describes how meta-analyses from peer reviewed journals have reported exercise as treatment for depression is more effective than no treatment, as effective as traditional interventions in some instances, possibly a promising approach to postnatal depression and has equivalent adherence rates to medication. However, reviews have also raised concerns about the methodological quality of trials, possible overestimation of treatment effects and lack of data regarding long term benefits. Based on the available evidence it is concluded that while awaiting further high quality trial evidence it would seem appropriate for exercise to be recommended in combination with other treatments. Department of Health. (2004). Confidential enquiry into maternal and child health: Why mothers die 2000–2002. Royal College of Obstetricians and Gynaecologists. London: RCOG Press. www.cemach.org.uk/publications/WMD2000_2002/Content.htm. Accessed 11 Jan 2006. Department of Health. (2004). At least five a week: Evidence on the impact of physical activity and its relationship to health. A report from the Chief Medical Officer. http://www.dh.gov.uk/en/Publicationsandstatistics/Publications/PublicationsPolicyAndGuidance/DH_4080994). Accessed 11 Jan 2006.